Contact the customer. Multiple calls and/or emails can be made/sent. This way, the workflow allows converting the cart into an order without contacting the customer, but within the workflow it is impossible to abandon the cart without getting in touch with the customer. 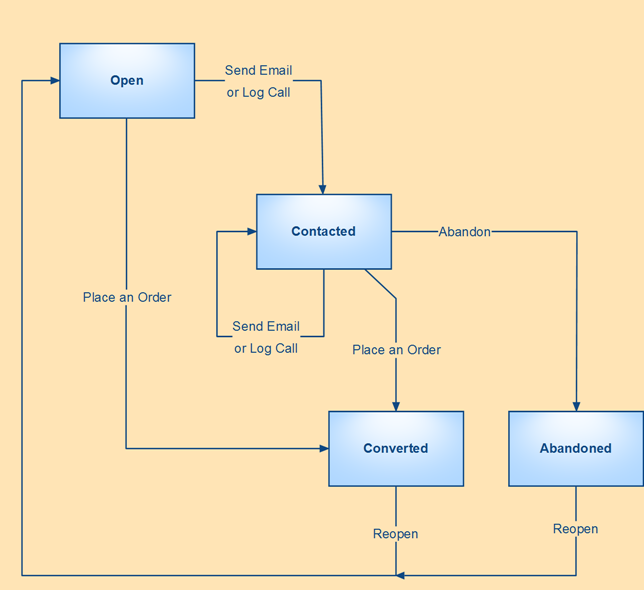 The workflow helps to improve customer-oriented communications and to increase the number of actual orders. At the same time, the managers can see all the information on the relevant items (no long search during the call), switch to the customer and account info and even check if the customer has already been contacted. Contact the customer by email. You can contact the customer by email only once. If there is no response to the email, it is possible to contact the customer by phone. It is also possible to skip sending an email and start with a call. Record Feedback: the Record Feedback form will appear. Fill it out, and click Submit to save it in the system. There can be no more calls or emails to the customer related to this cart. No Reply: if it has not been possible to get in touch with the customer, it is possible to make a note on the case (e.g. “an answering machine”, “no parents at home, call back after six”). 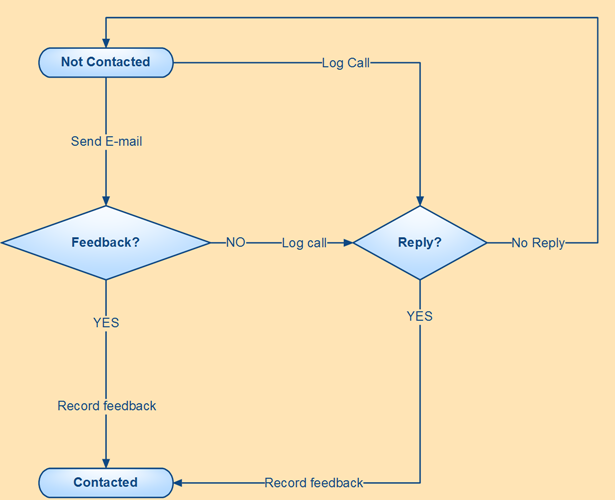 The workflow provides for consistent feedback collection and eliminates excessive calls, as each manager can see the log of emails and call-attempts.